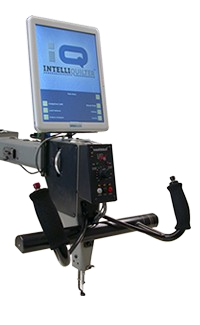 IntelliQuilter® (IQ) is a computer guidance system that can be added to Longarm and some Midarm quilting machines. The price includes delivery, installation and instruction. 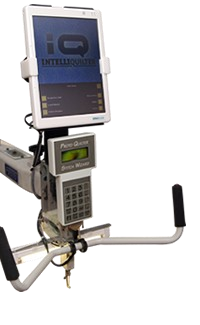 The cost of installation kits, when applicable, is extra, ranging from $75 to $500. 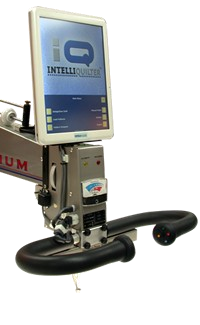 The installation kits contain hardware components that make the host quilting machine work at the best performance with the iQ. 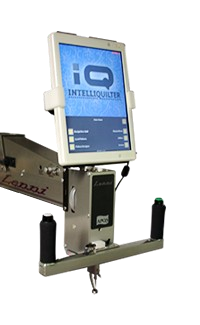 A dealer/installer will come to your home or studio to add IQ to your machine. The only additional cost may be a travel fee. All the components mount onto your machine. The tablet computer sits in a docking station at the needle end of your machine. To set up the quilting, you use the touch screen. There is no keyboard or additional computer off to the side. IQ takes you page by page through the process of setting up the quilting - you simply make choices on each page. There are two drive motors that move your machine. One is mounted to your machine, the other to your carriage. When IQ is moving the machine, small drive wheels lower onto the track. 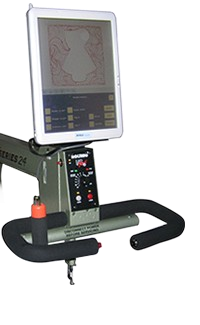 When you want to change to hand guided quilting, you touch a button and the drive wheels lift. There is no drag or restriction - if your machine moves smoothly now, then it will still move smoothly when you need to do hand guided quilting. 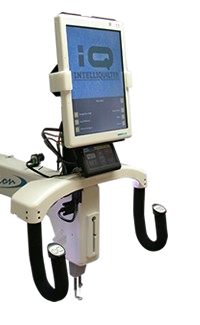 IQ adds about 11 pounds to the weight of your machine. 4 pounds of that is the computer tablet which is removable so if you know you are not going to use IQ at all on a quilt, you can take off that 4 pounds. You will also lose about 6 inches of quilting space along the length of your table because of the position of the motor drives. 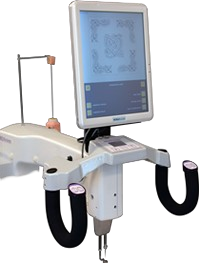 The tablet runs Linux, is solid-state, and is detachable from the longarm machine. It has 2GB of memory, which is enough to store about 50,000 patterns. It only takes 3 seconds, at the touch of a button on the computer, to engage or disengage the motors. 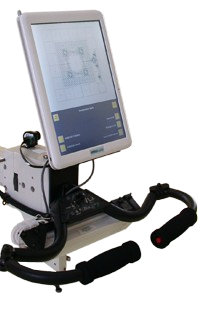 The software is easy to use, with help on every screen and an easy to use menu system. 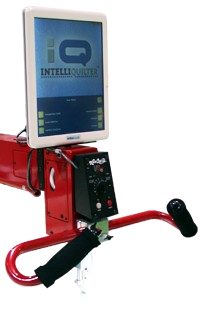 The addition of the IQ to your longarm machine does not replace any part of the machine. Therefore if your IQ system becomes non-functional for any reason, you are still able to quilt without hindrance. The pantograph only version does just edge to edge quilting. The standard version includes being able to stitch edge to edge designs as well as motifs, borders and other custom work. You can also build your own patterns using the geometric shape library or ask IQ to record patterns as you stitch them. IQ is extremely user friendly so you do not need a lot of instruction. If there are things you do not understand, there are help pages built into the system. A couple of days just playing and exploring everything that IQ can do is generally all you need in order to be able to use the computer to help you quilt. 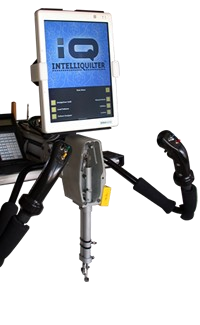 There are several IntelliQuilter demonstration videos on YouTube which will give you a good idea about how IQ works. You are also welcome to join the IntelliQuilter Yahoo forum. 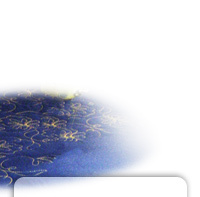 Each wiki article on this site has links to external information, such as videos. 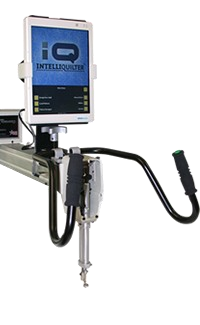 IntelliQuilter is manufactured by Kasa Engineering Services, based in Columbus, Ohio. They are the makers of IntelliStitch, the after-market stitch regulator, and EdgeRider wheels, the smoothest wheels available for your quilting machine.